I'm always so excited to see new products from Easywalker, a Dutch brand which creates cleverly designed, high quality, stylish strollers. 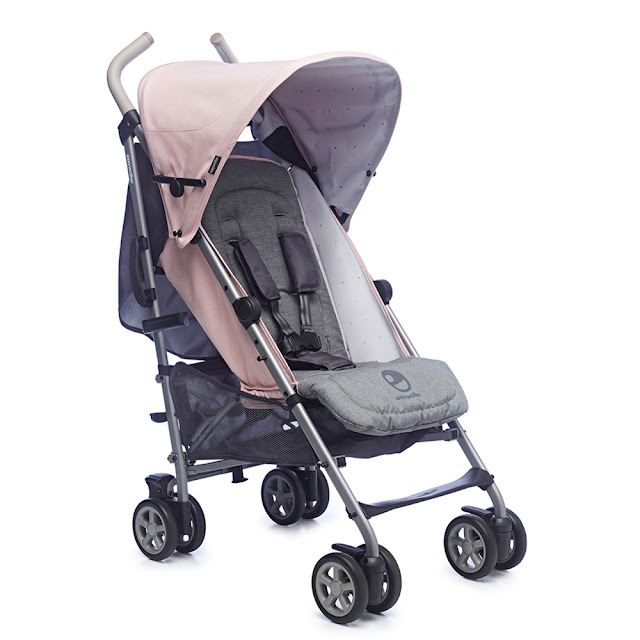 For 2016, Easywalker unveiled a beautiful new buggy, which combines all the comfort features we've come to expect with a fashionable look and high quality materials. 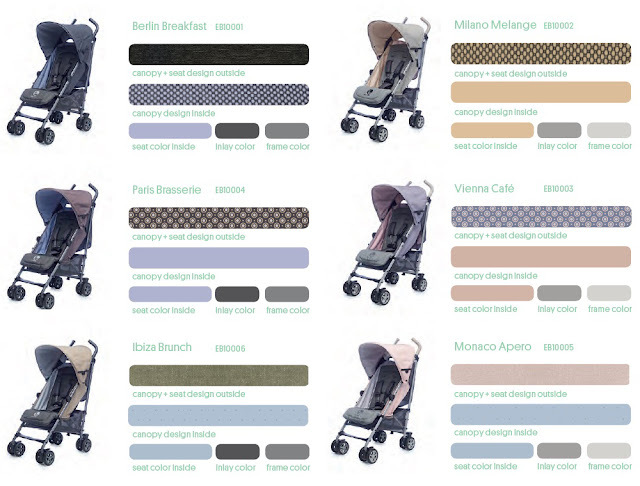 The buggy has luxurious leather handles and will be available in a choice of 6 colors. I seriously have a hard time deciding which color I like best, since each one is just gorgeous! 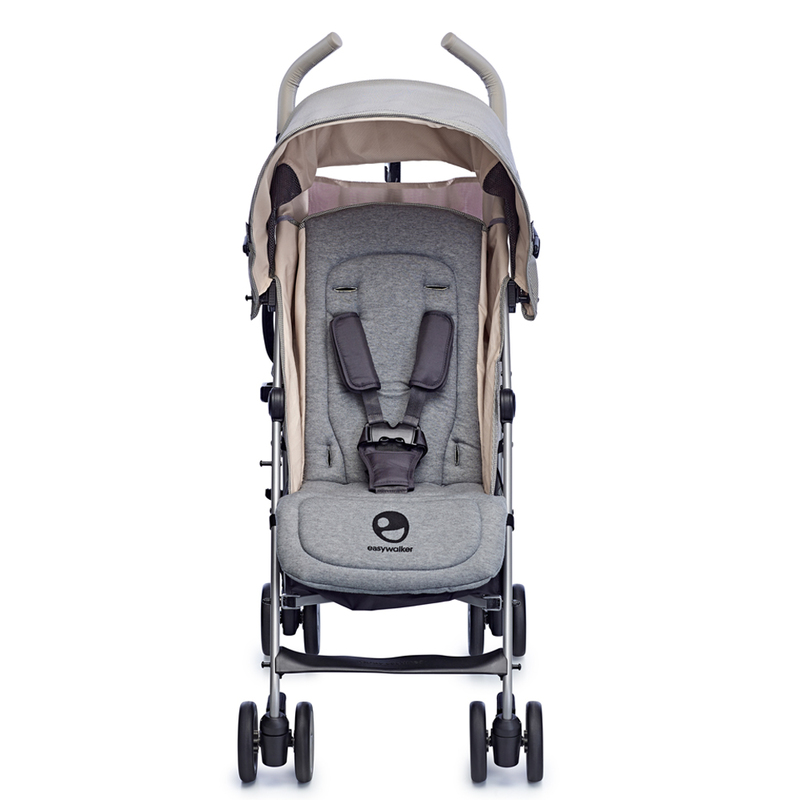 If you're looking for a lightweight stroller with class, this is it! 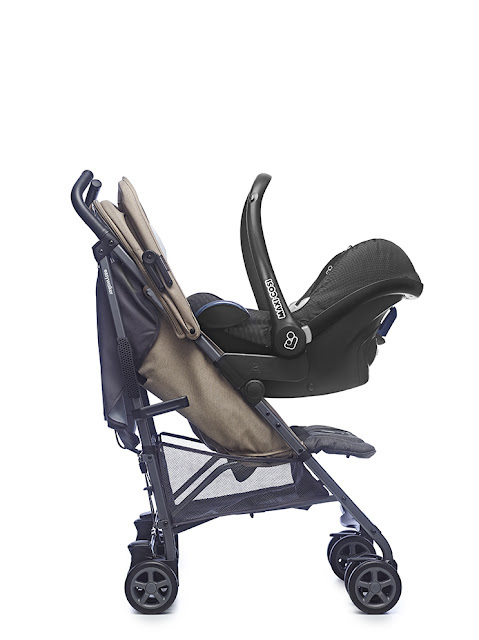 The Easywalker buggy reclines fully and can be used from birth. It is also car seat compatible with adapters. 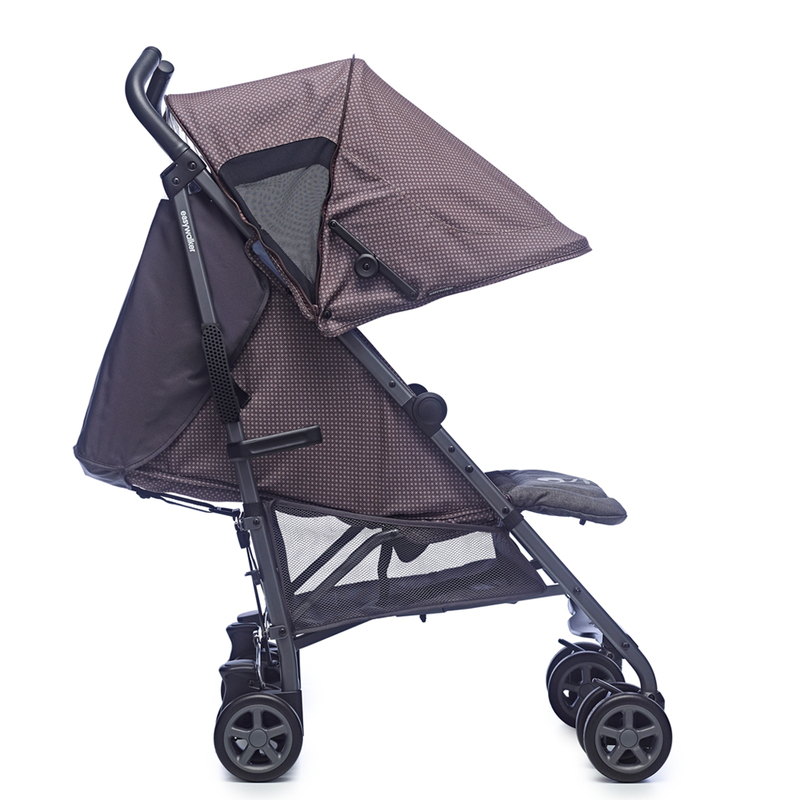 The stroller is equipped with an extra large, lined canopy with a viewing window in the back and two mesh inserts for ventilation. A plush padded seat and an adjustable leg rest ensures comfortable naps. 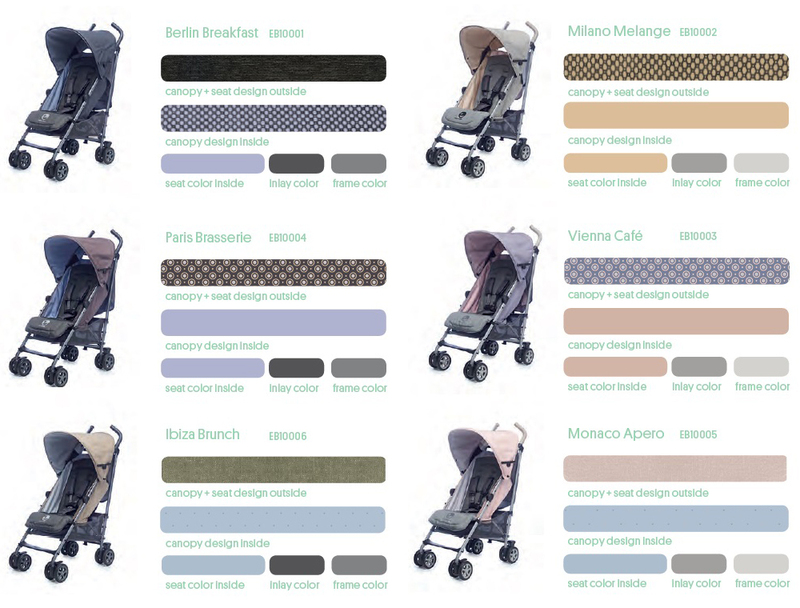 Compatible with Maxi Cosi Cabrio, Maxi Cosi Pebble, Cybex Aton, BeSafe IziGo, Nuna Pipa and Kiddy Evolution Pro car seats. Easywalker has also updated their popular Mini buggy for 2016. It shares all the comfort features of the new fashionable buggy with design elements of the Mini Cooper brand. I recently reviewed the Easywalker Mini stroller, which became a favorite in our family and I have a feeling that the new Easywalker buggy will be our next love!